We thought you might like to make a general comment relating to growing your own fruit and vegetables. To do this, simply add a comment in the form below - not forgetting to enter the anti-spam code. Note that any comments you add will not be visible until approved by a moderator. 2018 - Make a fresh start at your school by introducing an Allotment or by developing a healthy fitness area that the children can use and benefit from. There are many types of equipment to choose from. Visit www.garden-shopping.co.uk for more inspirational ideas and get in touch for a FREE quotation. Plant spring bulbs as soon as possible ... the shops have an excellent choice at the moment. Try out some new kinds that might suit the existing plants in the garden. Small bulbs can be used at the front of borders and in a rock garden. Conditions for planting are ideal with adequate moisture to encourage rooting immediately. Hanging baskets can be kept going a little longer with some liquid feeding. Conditions are ideal for sowing hardy annual flower seeds, such as calendula and candytuft. Marcelle CoakleyWe have a community gadren in Onslow that we would like to register, it is approx 1,400kms north west of Perth and we have just about completed all our major foundation work with an emphasis on health being the main focus of our gadren. It has a fruit forest and a large outdoor kitchen and wood fired oven and will be a meeting place for community groups and host monthly market days and be used to deliver health related services and larger community events. We have a page on facebook Onslow Community gadren and would love to join any networks that will give us the ability to interact and learn from other models especially in Australia.Kind regards,Marcelle CoakleyOnslow Community gadren co-ordinator. Attention all Schools and Community Organisations. We can carryout any Maintenance contracts for your garden outdoor areas, please contact us for details and a free quote. 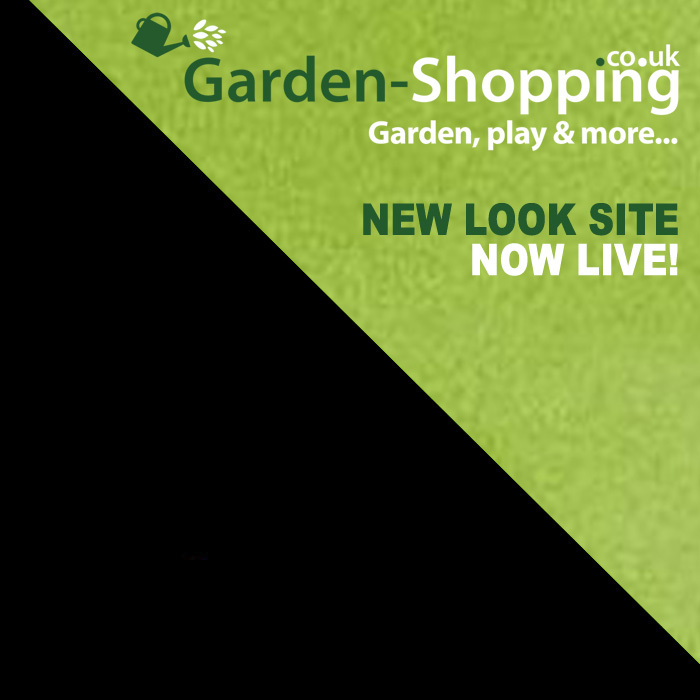 We\'ve now set up a new online garden shop- www.garden-shopping.co.uk . Please take a look at what we have to offer. Just found this website and think it is great, lots of useful information and pictures for teachers like myself. We are thinking of developing an Allotment at our school so i will be contacting Dig It Projects to set up a meeting. The school site page is excellent. Its great to see what other local schools have been having installed. Your work is fantastic and its great to see the benefits to our children and community. Hi I am very interested in your Franchise Oppoertunity. It looks very interesting and I will be emailing you for further details. Your site is very informative and interesting I love what you have been doing within your local schools. Regards Mr James King. DIG IT Projects wins INNOVATION award at the 'Startups Awards' held in Kensington, London. Beating off tough competition this is great that we have been recognised in this way and will provide motivation for the staff and all at Dig It! (see logo link at top of page for more details). We have just been notified that we have reached the finals of the 'Start Up Awards 2010' which will be held in London on the 2nd of December. Check back for our final position. Click the logo at the top of the page for more details. Hi there think this site is great very informative. Think the new lesson plans are really good and useful, will be using them each year to tie in with our garden projects and the National Framework for Sustainable Schools. Our Raised beds are looking great and we have loads of vegetables growing in them at the moment, cant wait to start again after the summer holiday. I think the site is looking fantastic and I love seeing the pictures of what the local schools have been growing and doing with Dig It! My daughter attends Lockwood Primary School and got great pleasure out of her Gardening Club on a Thursday evening and even came home giving me tips from your gardening expert who helped run The Workshops. Great work can't wait to see what the next school term brings. DIG IT Projects recieves it's official "Registration of Trade Mark". please view our MEDIA section, for more details. DIG IT Projects gets short listed for prestigous AWARD in LONDON. The Awards are to be held at the "Grosvenor Hotel", Park lane, London on the Tuesday 3rd November. The category entered was in the Green service - Micro Organisation's. There were 40 entries which have come down to 5 finalist's, DIG IT Projects being one. We have also been entered into "BEST NEW BUSINESS AWARDS 2009" by Business Link. I would like to take this opportunity to thank everyone involved and has helped me achieve this status so far. Watch this space for the outcome. The Green Business Awards are without equal in scope, in fairness, in scale. They are the pinnacle of achievement. And, in the words of a memorable ad campaign, they do exactly what they say on the tin. Rightly then, winning a Green Business Award "Green Globe" is as great an achievement as winning an "Oscar" is to the film industry. The Green Business Awards will be the only real benchmark of excellence in the UK in 2009 with an entry process and evaluation system devised by ENDS, ENDSCarbon and the editorial team of Management Today. They are an opportunity for large corporations, SMEs and smaller companies to participate and be judged fairly through the use of detailed metrics and an experienced and diverse judging panel. Entry is free of charge to allow smaller businesses the same access to the awards as mightier organisations. The Green Business Awards are also an opportunity to showcase initiatives as best practice examples in future ENDS or MT publications, as they cover UK operations, business functions, and other areas influenced by decisions made in the UK. none bigger, perhaps, than "going green". Award categories have been refreshed and grouped into sections around carbon management, environmental management and green business development, making them relevant to all types of organisation, irrespective of size or type of operation. There are 9 Carbon categories, 6 Environmental Management categories and 3 Green Product, Service and Job Creation categories to enter. Leading professional institutes have been engaged in the development of the Green Business Awards' screening and judging process: an exciting new empirical approach, which provides a comprehensive platform to best enable comparison between companies and makes it easier for companies to respond. As a result of these changes, ENDS and MT are confident that the Green Business Awards 2009 will be an even more essential barometer of business performance on environment, climate change and sustainability. Just by entering you will evidence your organisation's commitment to these key issues. By making it to the short-lists you will be among the best "green" organisations in the UK. Winning a category "Green Globe" is an outstanding achievement: winning an ultimate Green Business Awards Green Globe of the Year is, simply, peerless. Now, it's time to tell the judges about your green claims, ambitions, initiatives and achievements...and enter the Green Business Awards 2009! Coastal View they send out 20,000 copies per month throughout Redcar and Cleveland and report on local events and stories they recieve from the general public, business's, and school / community projects. DIG IT has created a gardening section called "GROW ZONE". Each issue will report on events near you, with hints and tips to assist you to grow your own fruit and vegetables. Please feel free to contact us at DIG IT, if you have any interesting ideas or stories relating to gardening or growing your own. NOTICE - TO ALL THE SHOWCASE SITES OUR 1ST COMPETITION WILL BE HELD SOON SO LOOK AT THE COMPETITION LINK FOR DETAILS - DIG IT projects. Yes we supply to the general public view some of the work in the additional features and showcase sites pages.